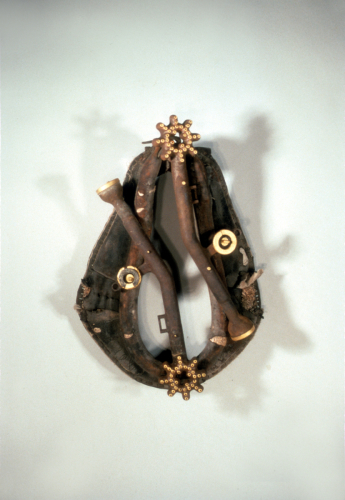 Horse Collar Sculpture with Antique Stove Pipes, Found Objects with Acrylic Paint. 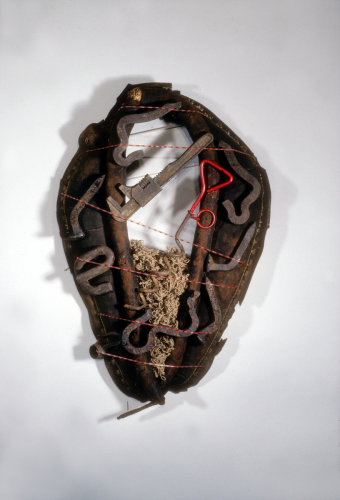 A Horse Collar Sculpture with Railroad Spikes And found Objects, Plastic tubing, Fiber with Acrylic Paint. 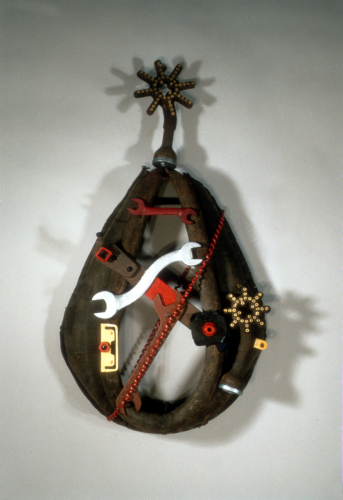 Horse Collar Sculpture with Antique Stove Pipes, wrenches, Telephone cord, Acrylic Paint and Found Objects. 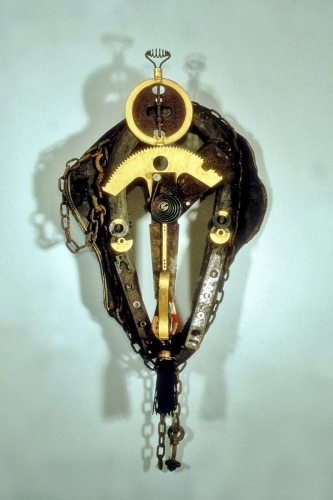 Horse Collar Sculpture with Chains; found objects. 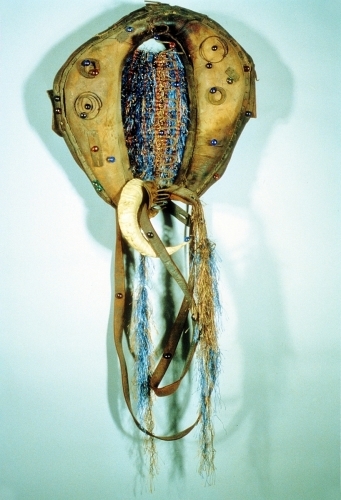 Horse Collar Sculpture with Rams Horn, Hand Woven Weavings, Antique Wood. 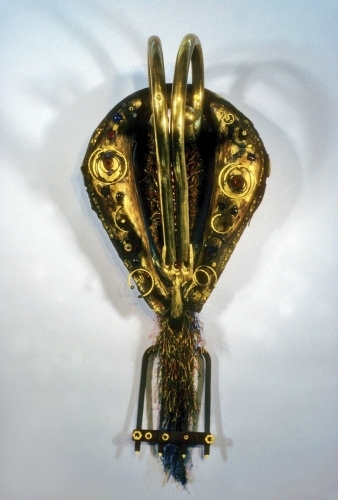 Horse Collar with Brass Bed Head Board, Pitch Fork, Weaving, Gold Paint, Glass beads, Sections of Mattress Springs. 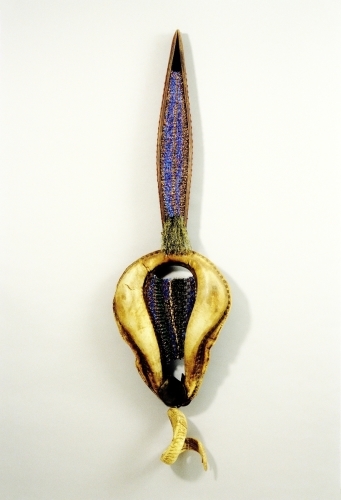 Horse Collar with Rams Horn & Horse Reins, Glass Beads & Mattress Spring.